We’re not sure Fernando Alonso wears these in the cockpit of his F1 car, but the use of colours on the Ferrai by Logic3 R300 headphones (£270) is a natural step. Business class-grade noise-cancelling is what they’re all about, and little else; without a couple of AAA batteries ensconced in one of the beautifully engineered ear cups these headphones don’t work at all. However, the noise cancelling works very well and the sound quality impresses across the range. They’re easy to travel with, too – there’s an ergonomic two-way folding design along with options for in-line controls for either Apple or Android smartphones or tablets. The Ferrai logo on the outside of one of the ear cups also works as a pause button. At 297g these well made headphones, which fold-up into a hard but lightweight case, are relatively bulky and lack versatility, but they’re hard to beat on performance. 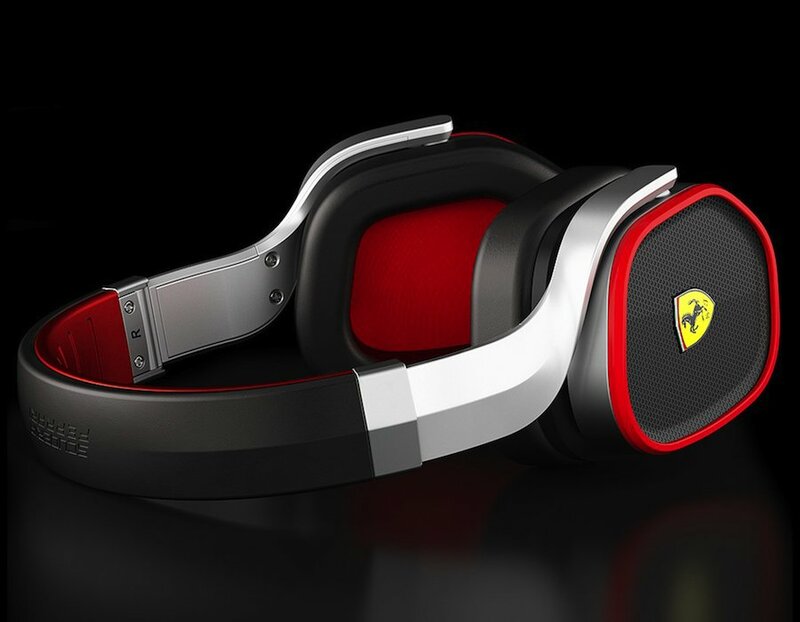 Part of Logic3’s Scuderia Ferrari Collection, the Ferrai by Logic3 R300 headphones are available in two versions, one dominantly black and one dominantly white, but both with plenty of Ferrari red, and a hint of yellow. A version adorned in soft light-brown leather is also available.